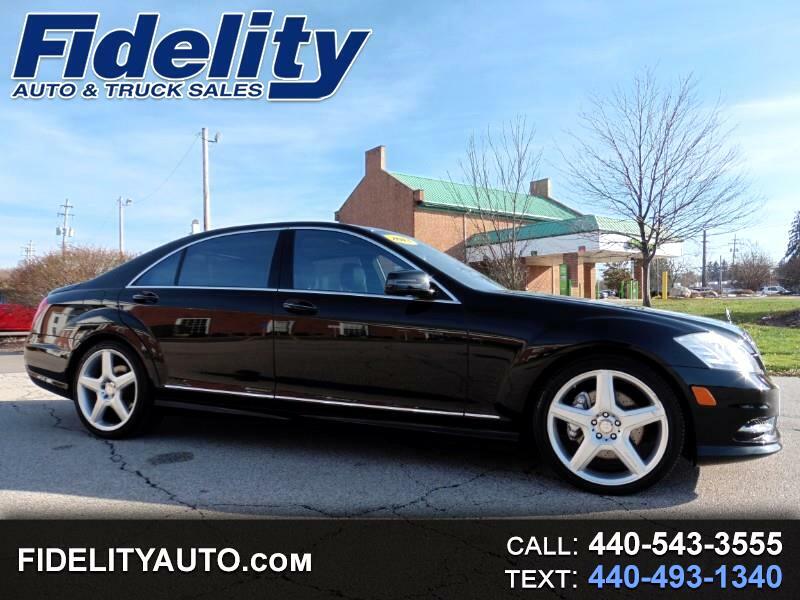 Carfax Certified, Accident Free 2013 Mercedes Benz S550 with Navigation, Power Sunroof, and Harman Kardon Sound System! Bluetooth, dual power heated/cooled leather seats, power windows and locks, power mirrors, park assist, back-up camera, AMG alloy wheels, cruise, push button start, 4.6L V8, tinted rear windows, steering wheel controls, keyless wntry with security, A/C, automatic transmission, and much more! Fully inspected, serviced, and ready to drive. All trade-ins welcomed. Excellent bank financing available for all credit situations. Call us anytime at 440.543.3555. Text questions to 330-617-3447 . We're an A+ Rated & Accredited Better Business Bureau dealership! Visit our entire inventory of cars, trucks and vans online at www.fidelityauto.com. While every attempt has been made to ensure the accuracy of the data displayed, the Dealership is not responsible for any errors or omissions. All prices plus tax, tags & $250 dealer processing fee (Not req. by law), and destination. Dealer installed options are additional. All vehicles subject to prior sale. Some vehicles may be demos. Retail sales only, not valid for fleet sales. Any disclaimer displayed in red or blue may amend the Dealer Disclaimer. Internet discounts cannot be combined with any other advertised offer. See dealer for details. While every effort has been made to ensure the display of accurate data, the vehicle listings within this web site may not accurately reflect all vehicle accessories, features and options. All inventory listed on this site and other sites, such as cars.com, Craigslist, et al. is subject to prior sale. In rare instances, the vehicle photo displayed may be posted as an example only. Please see the dealer for details. Vehicles may be in transit or at our sister dealership. See the actual vehicle for complete accuracy of features, options and pricing. Not responsible for pricing or typographical errors. Message: Thought you might be interested in this 2013 Mercedes-Benz S-Class.